1. BMW has embraced change and willing to shed old clothes for new ones. 2. As part of the historic transition phase majority of future BMW cars could be developed to couple both electrified hybrid and all-electric powertrains. 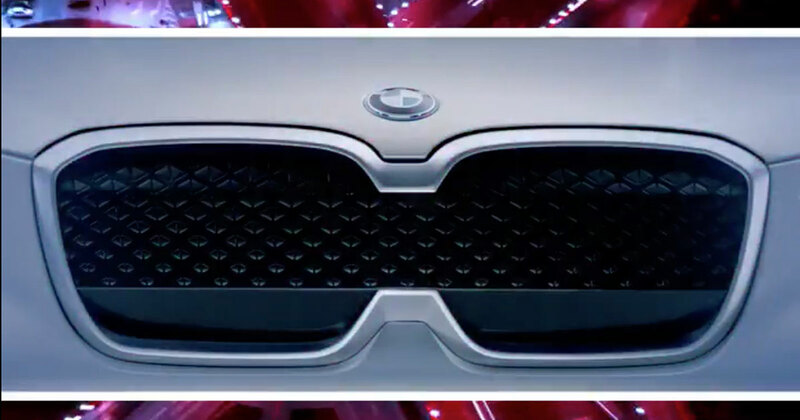 BMW will unveil the iX3 concept at the Beijing Motor Show. The production model of the iX3 will lock horns with its conceptual rival to the Jaguar I-Pace. The company shared a short video of the show car's iX3 name tag for eager fans via its Twitter account. BMW has kept the technical of the iX3 concept under wraps for now. However, speculations doing the round suggest the electric SUV will have a full charge range of 250 miles. This is a standard range of all other concept SUVs that have been unveiled recently though. Presently, BMW’s EV resume includes two standalone electric and electrically assisted models, the i3 hatchback and i8 sports coupe, as well as electrified hybrid versions of the BMW 3 Series, 5 Series and other models under the iPerformance banner. This is all set to explode in not so far future. The hint of a more electric dominated production line up vibrated throughout BMW's annual financial press conference. Harald Kruger, Chairman BMW, had committed towards the release of production iX3 by 2020. The iX3 could be just one of the many SUVs in the pipeline. Every badge from iX1 to iX9 has been trademarked by the brand. iX9 could in all probabilities be a state of the art luxury offering in the making. The i4-badged model slated for a 2020 launch, will rival the Model 3 and Model S from Tesla. The BMW the iX3 concept will be unveiled at Beijing Motor Show on 25 April. Stay tuned for further details.